So I finally got myself to Ed Mitchell’s The Pit in Raleigh this weekend. All the food blogs and magazines rave about it, so I figured it was about time I go. The Pit is in downtown Raleigh, in the warehouse area. You can make reservations (if you do so ages in advance, only half the restaurant is given to reservations), but since I didn’t call two weeks ahead of time we decided to chance it. Four of us arrived at the restaurant at 6:45 on a Saturday night and found a wait of about an hour. Luckily we were able to snag seats at the bar and order drinks (sangria!) and appetizers. Seen below. 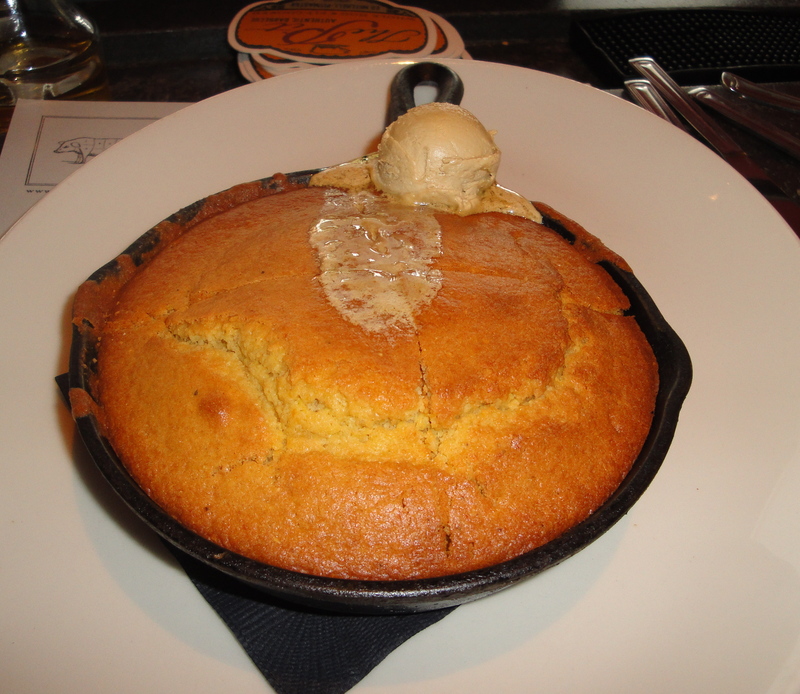 I’m not the biggest fan of cornbread, but this cornbread had a nice sweet-potato flavor and the maple butter on top was unbelievable. I’d smear that butter on everything, including my first born child. 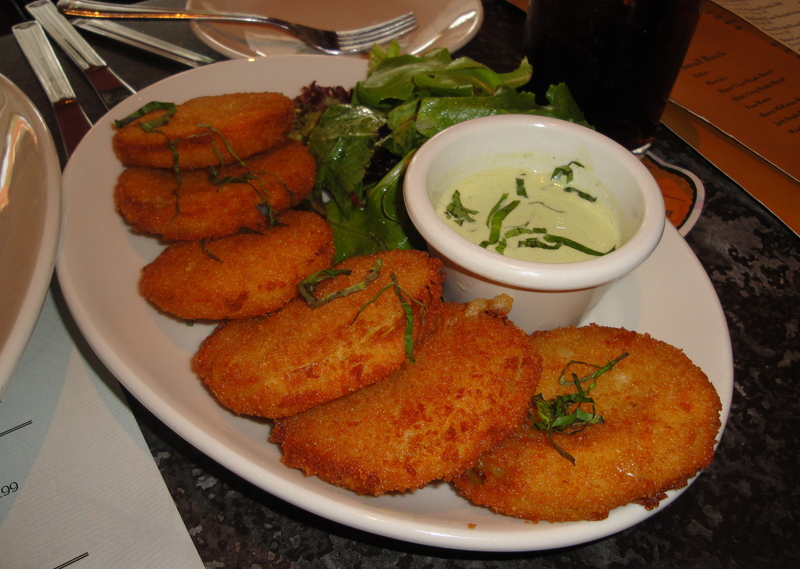 I looooove fried green tomatoes. These were not “overly” fried, meaning you could still taste the tomatoes. The lime aioli was subtle but the basil was an ingenious choice, a great play on the Italian tomato basil pairing but with a Southern spin. Wonderful. Exactly one hour later (very timely! The service, btw, was quick and efficient, friendly but not overly so) we were sitting at our table, preparing to order dinner. 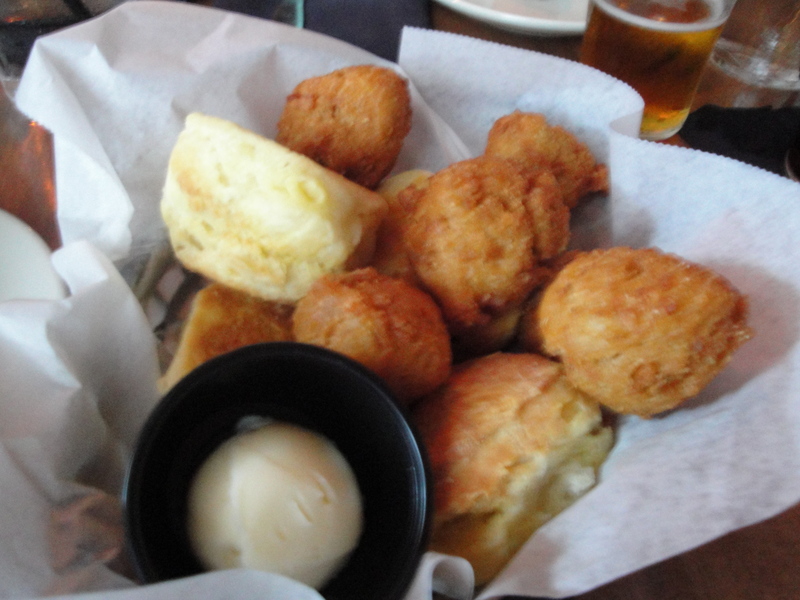 But first we had to eat a basket of complimentary biscuits and hush puppies. Well, okay Ed, if you say so. Wait you want us to eat more food? With more butter? Okay. We ordered, and our food was brought quite quickly. I had a plate of some of the best, most tender brisket of my life, smokey and quite excellent with the tomato-based sauce provided on the table. 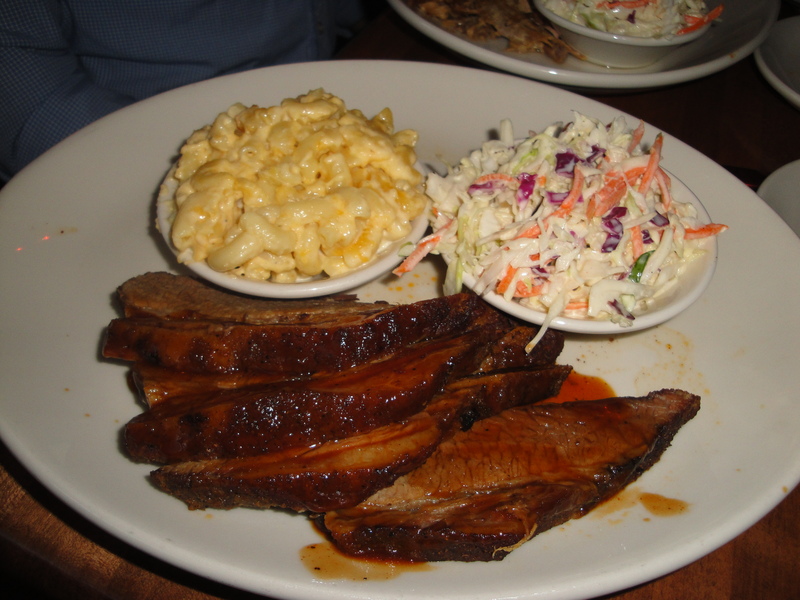 The mac and cheese and cole slaw on the side were excellent as well. 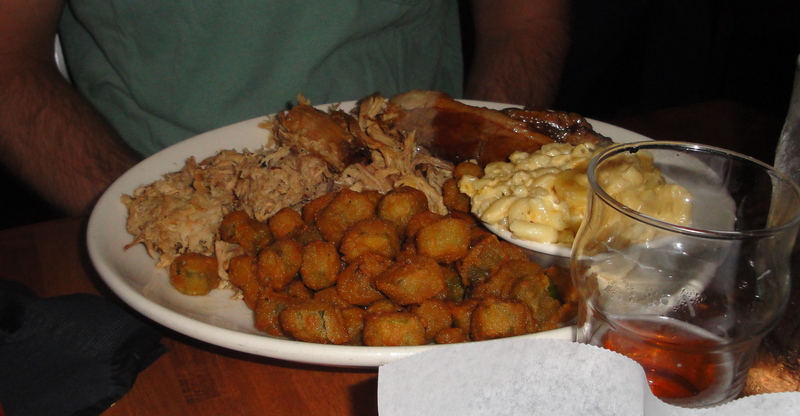 Jon ordered pulled pork with the same sides as I did (he was happy with his pulled pork, vinegar-sauce style in what some might call authentic North Carolina fashion), and another one of our table mates ordered a triple combo (in his case brisket, pulled pork, and chopped pork) with a side of fried okra and macaroni and cheese. Our other table mate ordered pulled pork and had a side of cheesy bacon grits. We should have ordered a vat of those grits for the table. 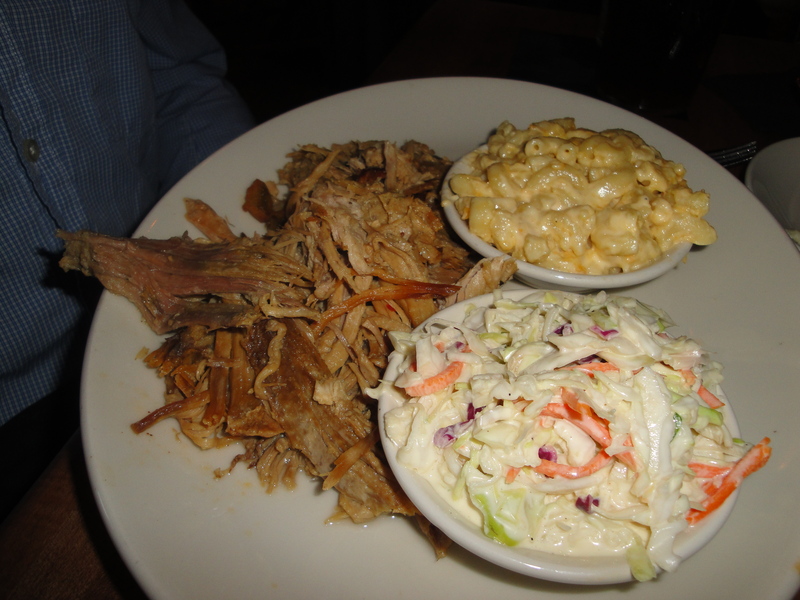 Jon's pulled pork with macaroni and cheese and cole slaw. Triple combo with fried okra and macaroni and cheese. 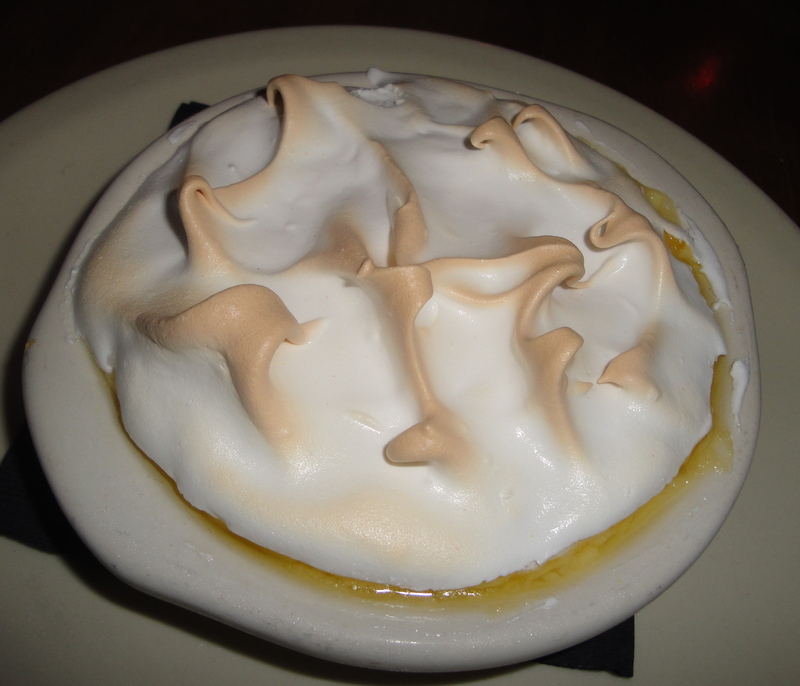 So the men were felled by meat overload but, being a lady, I have an entire second stomach for dessert. 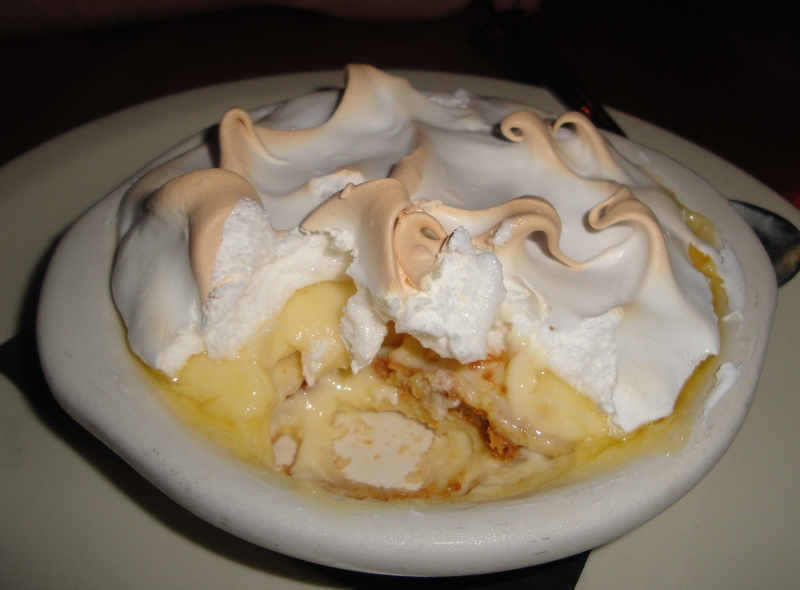 So I ordered a banana pudding, which was a little too sweet for me, but the marshmallow fluff topping was great. I barely made a dent in the pudding but whatever, I had to have the full experience. And, of course, there were leftovers. 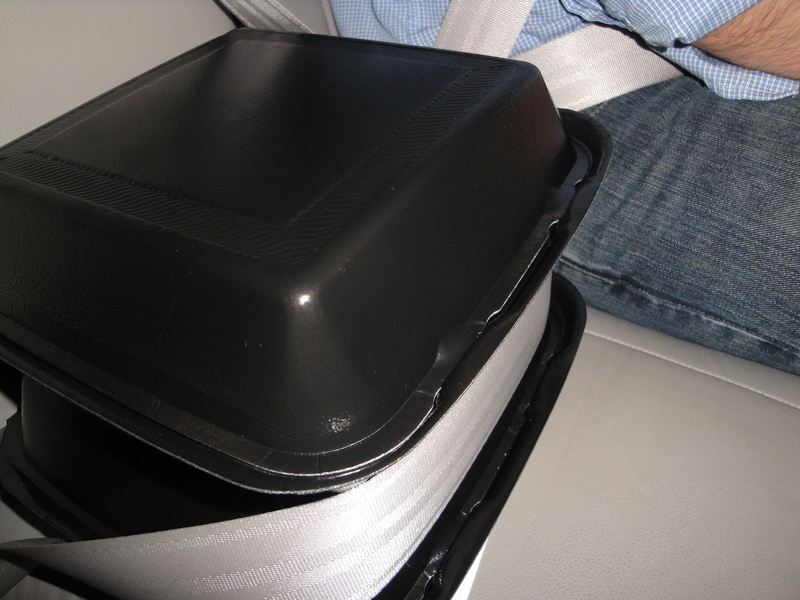 And since the leftovers were our food babies, we had to treat them carefully on their way back to the refrigerator. So that was my The Pit experience. More, please?